Linda is a passionate advocate for children. She began serving children, their families and communities while in college. Prior to joining, Linda was a CASA in the Appalachian Circuit and currently is on the Board for Open Arms. As a successful business executive, Linda brings expertise in strategy, operations, marketing, finance and leadership. Linda has a Bachelor’s of Science degree from the University of Florida and an MBA from Nova University. Currently Linda is honored to serve as our Executive Director. Linda enjoys hiking, boating, gardening and savors the beauty of the mountains. In 1999 she bought a small cabin in Blairsville, which has been transformed into a home where family and friends relish in our mountains, lake and wildlife. Stephanie joined Enotah CASA in Feb. 2018 after working five years for DFCS. While at DFCS she served as an investigator, case manager for both family preservation cases and foster care. She also a DFCS Social Services Supervisor in the Family Preservation Unit and the Permanency Unit. Stephanie has a BS in psychology from NGCSU (now UNG). She lives in Towns County with her family of three fur babies. Stephanie is the Volunteer Supervisor for Towns County. She also serves as our Volunteer Recruiter, Trainer and Engagement Manager. 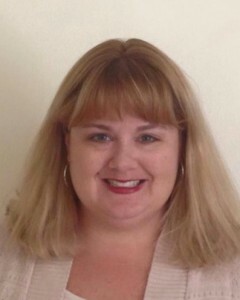 Rhonda Case joined October of 2015. Rhonda had served as a CASA/GAL since 2001. 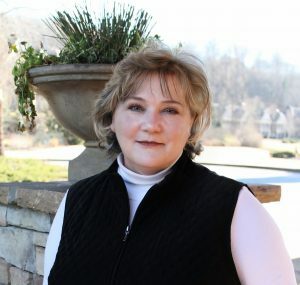 Prior to joining the staff at Enotah CASA, Rhonda served as the Member Services Coordinator for the Dahlonega-Lumpkin County Chamber & Visitors Bureau. In 2005, Rhonda opened the Woodie Fite Senior Recreational and Educational Center, in Douglas County Georgia where she served as the Director for 7 years. Rhonda has always been very active in her community with over 25 years of business development experience. 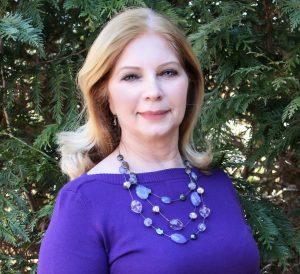 Serving on various committees and boards, Rhonda is responsible for spearheading A Taste of Douglasville, A Taste of Villa Rica, The Children’s Community Theater, Melbourne Jazz Festival, and several other festivals and events for charitable organizations. Rhonda is currently the Volunteer Supervisor for White County. She also coordinates Enotah CASA’s training and fundraising events. With the experience of being a CASA Volunteer since 2001, Rhonda will help supervise White County CASAs as they advocate for and become the voice for children in the foster care system. She has been married to Michael for 33 years and they have been blessed with three children, three beautiful grandchildren. Nicole Lonano M.S. is from Martin County, Florida originally where she has substantial experience working with foster children, delivered mental health therapy, and served in management. She holds an MS in Criminal Justice Administration and an MS in Health Counseling and is completing her PHD. Nicole is also certified in Forensic Report Writing. After joining the team in September of 2018, Nicole serves as a volunteer supervisor for both Union and Towns County. She also coordinates Enotah CASA social media. Nicole has been married to James for 20 years and has two wonderful children. Melissa Line has worked with volunteers since 1998 in Christian Education and as a grant writer for Rainbow Children’s Home, but she is most proud of being a former CASA volunteer, foster parent, and now an adoptive parent. Currently she is the Volunteer Supervisor for Lumpkin County, assists with our Grant proposals and reporting and is key to our volunteer training. 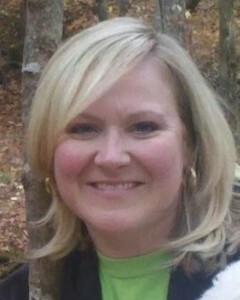 Melissa lives in Dahlonega with her husband, John, their six wonderful children and two dogs. She is currently working on a Master’s Degree in Social Work and feels called to work with abused and neglected children. Debbie joined CASA in May of 2015. She is an Advocate Coordinator and leads Enotah CASA’s Education Advocacy. Previous to employment with CASA, she worked at the Division of Rehabilitation Services where she assisted people with disabilities to gain training and employment. She has always had a heart for helping others better themselves! Debbie has a B.S.Ed. from the University of Georgia in Educational Psychology and a M.Ed. from the University of Georgia in Rehabilitation Counseling. She enjoys anything crafty and loves living in the beautiful mountains with her husband, two kids and her dog!